There lots of all great all rounders in the world cricket, there are the versions of all-time greats too. What we should not forget is, there will be all time greats inside every country who haven’t got so much of opportunities to prove themselves for a long time, some would have got that, but they won’t be making it to the all-time greats in the world by a whisker point. 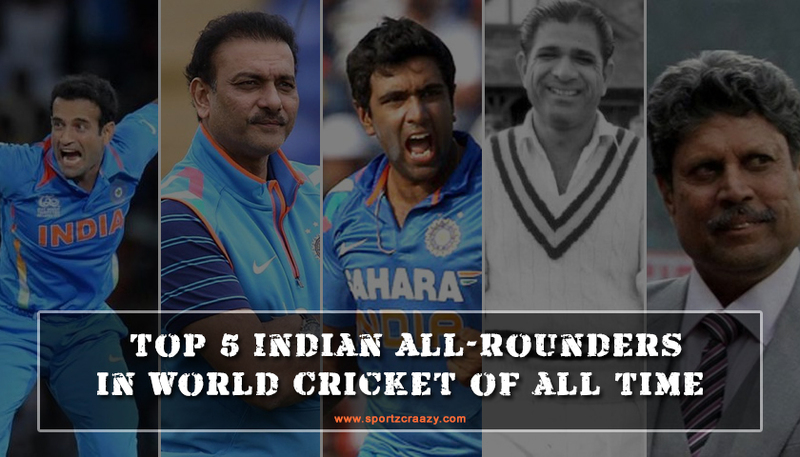 So, today we will look at the Top 5 all rounders of all time in Indian cricket. Yes, it might be too early to add him in the list, but since the retirement of Kapil dev, he is the best fast bowling all rounder India have produced. His lethal pace bowling and a knife speed hard hitting has fetched him this place in the table. Today, he is getting fifth spot, we are sure that he might end at the top the day when he retires. He just has maintained his consistency and hard work to achieve that. He has got all the talents in the world to achieve that. He might have less proven with his batting skills in the International level, yet he has proven his striking ability at times when the team needed. Don’t forget that he is the man who scored two triple hundreds in domestic cricket which fetched him the place in the Indian team. He is one of the greatest left arm spinners in the test cricket now and he is also one of the brilliant fielders in the world. He is hard to pick as bowler. His throw is as accurate as accuracy machine. He surely has the spot in our table, 4th spot goes to him. It was a difficult decision to pick between Ravi Ashwin and Yuvraj Singh as Ashwin is seen as terrific spinner and Yuvraj Singh is seen as a dangerous batsman. But Yuvraj edges past Ashwin because of his performances in big tournaments like world cup. Yuvraj is called as world cup hero by the fans as his performances were vital in 2007 T20 WC and 2011 50 over world cup. His all-round performance in the 2011 world cup is a forever memory and fetches him the third spot in the rankings. He is one of the all-time great batsmen the world cricket seen and a quality bowler who can give his captains a break through. He was a stylish right-handed batsman who had the ability to bat at any position in the lineup. This was the special quality that the captains saw in him. He also succeeded in opening the innings. He was a fantastic left arm orthodox bowler who picked up vital wickets. Like jadeja, he was also one of the fantastic fielders in the world. He automatically gets into the second spot in our rankings. Can he be India’s next Kapil Dev?” A question that every young all-rounder in India must face only aptly sums up the impact of Kapil Dev till date. India’s greatest all-rounder ever, the “Haryana Hurricane” became only the second bowler in world history to cross 400 Test wickets, ending with 434, then a world record. With the bat, he scored eight hundred at an average of 31.05. In ODIs, Dev snatched 253 wickets and his knock of 175 against Zimbabwe during the 1983 World Cup earmarked him as one of the greatest all-rounders to have played the game. Although Ravichandran Ashwin is mainly considered as a bowler, most people know that he is much more than that because of his prolific batting abilities. 284 wickets in 51 Tests is certainly a huge number. However, over 2000 runs for a batsman who has mostly batted at No.7 or 8 throughout his Test career is certainly huge. Moreover, he became the fastest to achieve the double of 2000 runs and 250 wickets in Tests, surpassing the likes of Richard Hadlee, Ian Botham and Imran Khan in the second Test match of the ongoing series against Sri Lanka. He already has 4 Test centuries to his name and it seems that will only increase in the coming years. He also has 150 wickets to his name in 105 ODIs. However, his batting numbers of 674 runs at an average of 16.43 do not make for a good read in ODI cricket. That, though, is mainly due to the superb batting line-up of India and his batting position which is mostly at No.9. Ashwin is already amongst the greatest all-rounders that India has ever got. He will achieve a lot more with time and his records will only improve further. The present coach of the Indian Cricket team fits into this list as well. 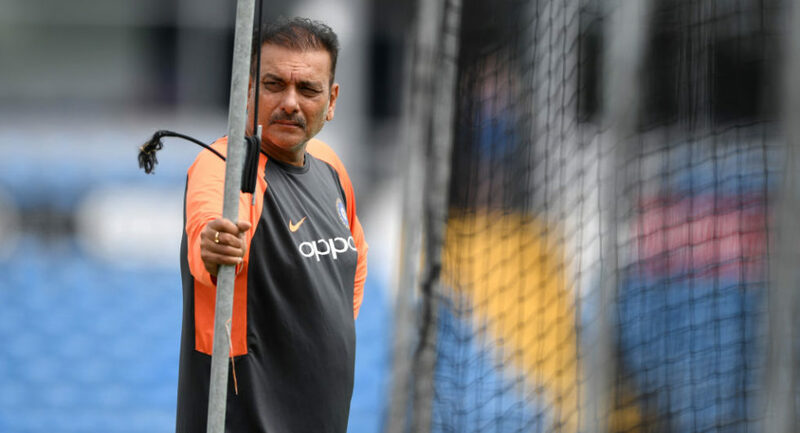 Shastri, a hard-hitting middle-order batsman and a canny left arm orthodox bowler, was probably the first of the modern version of limited overs all-rounders. He had scored 3109 runs and claimed 129 wickets in the 150 ODIs that he played for India. However, he had a decent record in Tests as well. He scored 3830 runs at an average of 35.79 in 80 Tests and it also included 11 centuries and 12 half-centuries. And with his slow left arm orthodox bowling, he claimed 151 crucial wickets as well in those matches. He also has a Test double hundred to his name, that too against Australia at Sydney. His six hitting prowess is well-known as he hit six sixes in an over once in a first-class match in 1985. There is also another person who should be mentioned among the top all rounders from India and that is Irfan Pathan who has given some amazing contributions to the team and has also had some great games in his career. 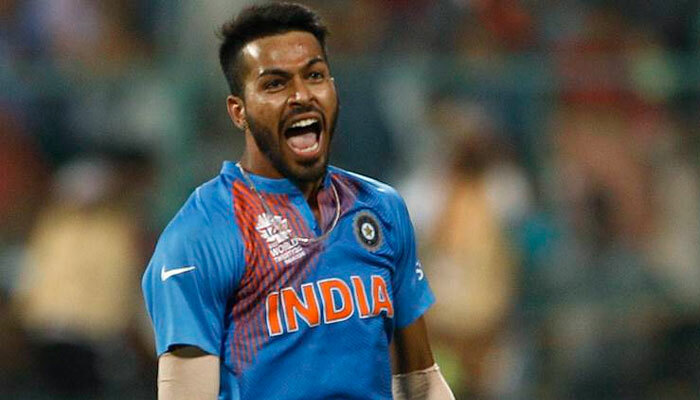 There are many terrific all rounders the country has produced, and more are yet to come including the likes of Krunal Pandya and Koushik Jagatheesan and Baba Aparajith of Tamil Nadu and many more fantastic all rounders. Let’s wait and watch all those players succeeding at an international level.